Leadership is a consequence of expertise, of authenticity and remaining true to yourself, whatever’s going on around you. You recognise that because of your success in business. 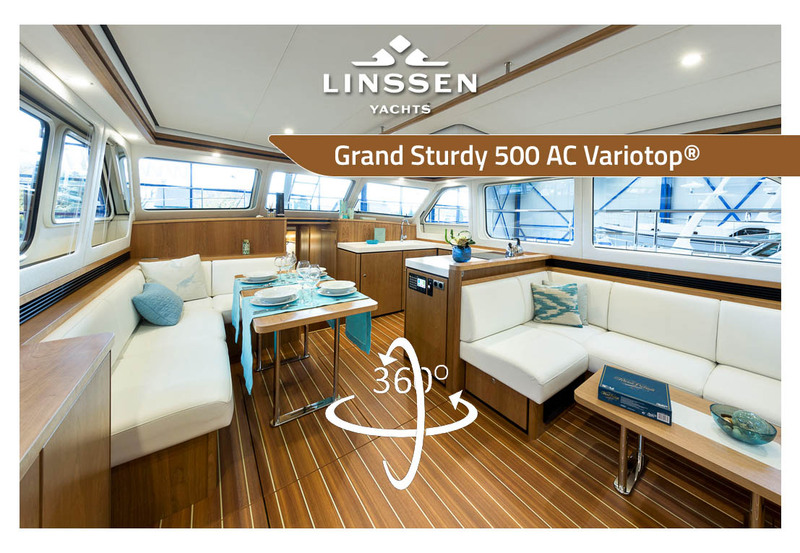 The new Linssen Grand Sturdy 500 AC Variotop® is a born leader. The flagship of our high-quality steel motor yachts is sailing in the wake of its predecessors. At the same time, it exceeds the previous model series on all fronts. The design is elegant and timeless. It is powerful with low-noise characteristics in the engine room. The construction is well thought out and sustainable, and the interior is spacious and complete. The new Grand Sturdy 500 AC Variotop® has been built to lead. Are you its helmsman? Since the introduction of the first generation Grand Sturdy 500 AC Variotop® in 1996, this model has acquired a special status in the market. It is an exceptional model in its class, partly as a result of the unique Linssen Variotop®. The “Linssen 500”, as this yacht is often called in the market, is considered a unique, exclusive, timeless, value-retaining boat. Proud owners keep telling us how heads turn when they sail by and these owners are more than willing to allow others to visit their yachts on our behalf. Thanks to its dimensions and the comfort on board, the new Grand Sturdy 500 AC Variotop® is a real allrounder, suitable for short or long voyages on all waterways. For instance, you can sail the Grand Sturdy 500 not only on French inland waterways, but also in coastal areas and at sea. The hull shape provides optimal interior space, which is used to the full. Thanks to the patented Variotop®, you can change the enclosed wheelhouse into an open helmsman’s position at the press of a button. The layout has been very well thought-out: the yacht has three spacious cabins, a well-equipped galley and high-quality appliances, such as a washer dryer and TV/media. 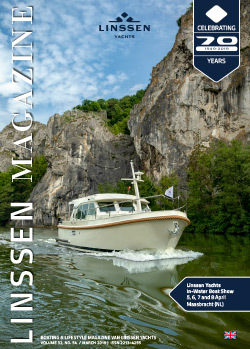 Furthermore, the Grand Sturdy 500 is fitted with the new Linssen climate control system, which again proves that this yacht is suitable for all climates, waterways and users.